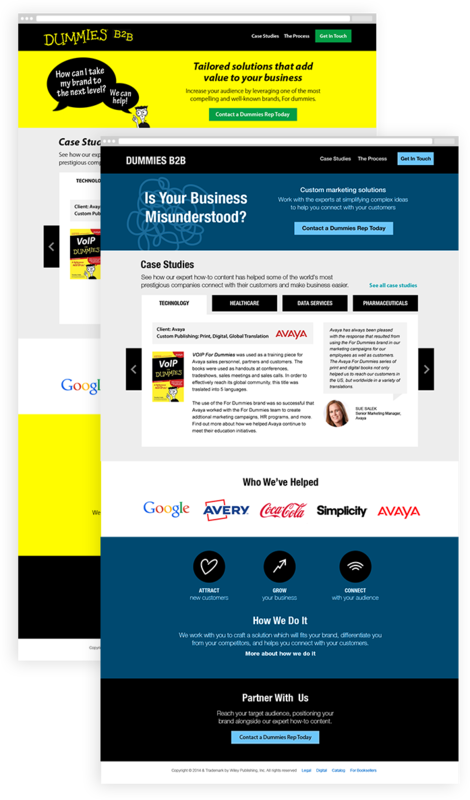 Redesign the Dummies B2B website to convey how they help businesses simplify complex ideas to their customers. 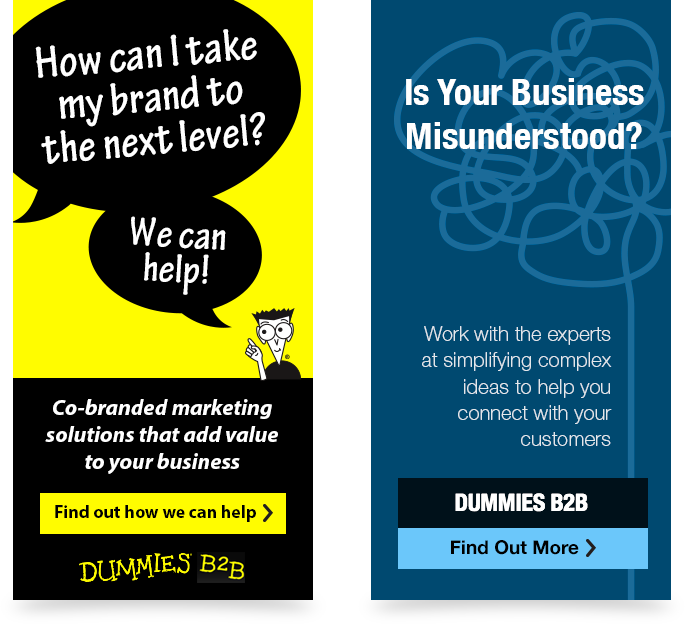 For Dummies is a known and trusted brand, but for their B2B business it was less understood. And, in research they found that there was some hesitancy to interact with the ‘For Dummies’ brand. For this project they wanted help in develop marketing concepts that convey the value proposition of Dummies B2B and those concepts should range from highly ‘Dummies’ branded to loosely branded. These would then be tested for performance. I sketched loose initial concepts for the landing pages and promos. Selects were then developed into final designs for testing: A/B testing for the promos and one on one for the landing pages. 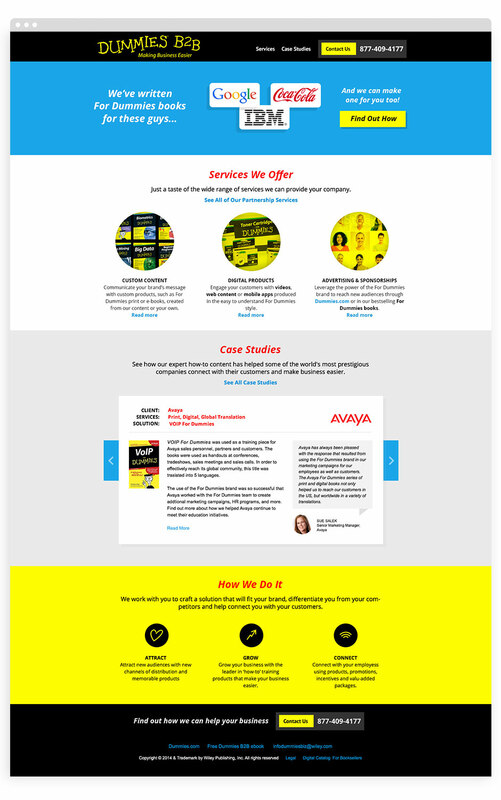 The landing page was further fleshed out to reinforce the customer problem that Dummies B2B is solving to connect with their future customers. 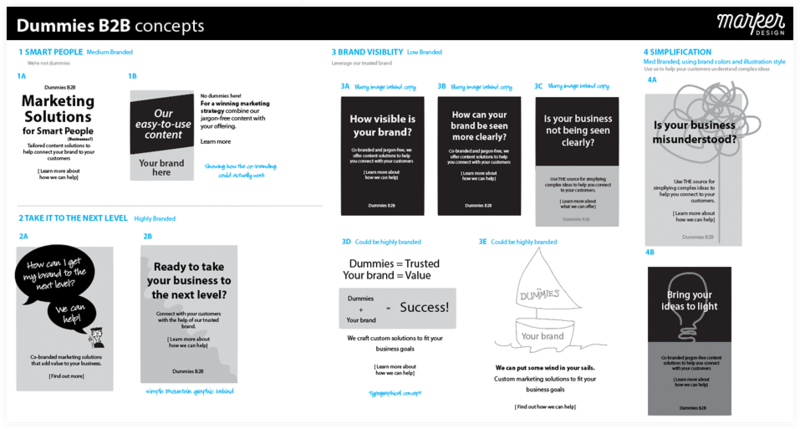 The redesign streamlines and focuses the Dummies B2B core message while reinforcing it with the appropriate amount of Dummies branding.